In the beginning, Champagne was not a wine. It was an area in northern France known for producing fine wool. Scattered vineyards made a bit of wine for local imbibing. It was rough and pinkish brown and bubbles were considered a bad sign. For several centuries there was a lot of sacking, burning and desecration of the region, especially during the Crusades and the 100 Years War. Then, in the late 1660s, a young Benedictine Monk named Dom Pérignon was assigned to the Abbey d’Hautvillers to bring it back to life and productivity. This meant resurrecting the vineyards, formerly a financial mainstay for monasteries. Here is where legend and fact collide. Dom Pérignon has been credited for “inventing champagne”. A famous quote speaks of him hailing fellow monks, “Come quickly. 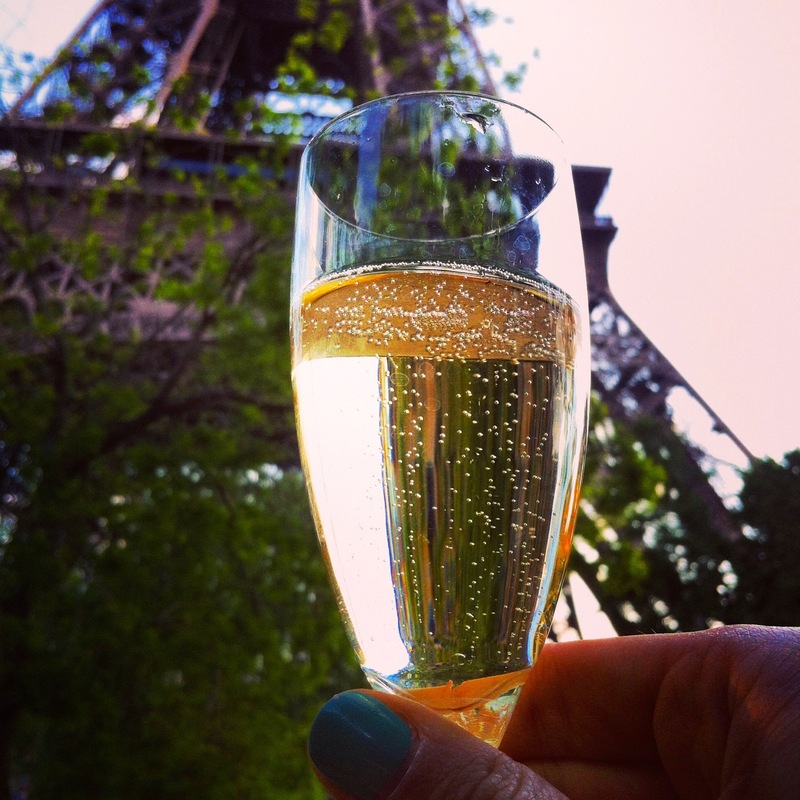 I’m tasting the stars!” But the truth is–Champagne invented itself. All wines bubble when grapes are pressed. Yeast cells on the skins mix with sugar in the juice and fermentation begins. But no one knew about yeasts then. Bubbles were considered to be a flaw of nature. And fizzy wines were unacceptable for Mass. What Dom Pérignon did do was pave the way for the Champagne industry of today. 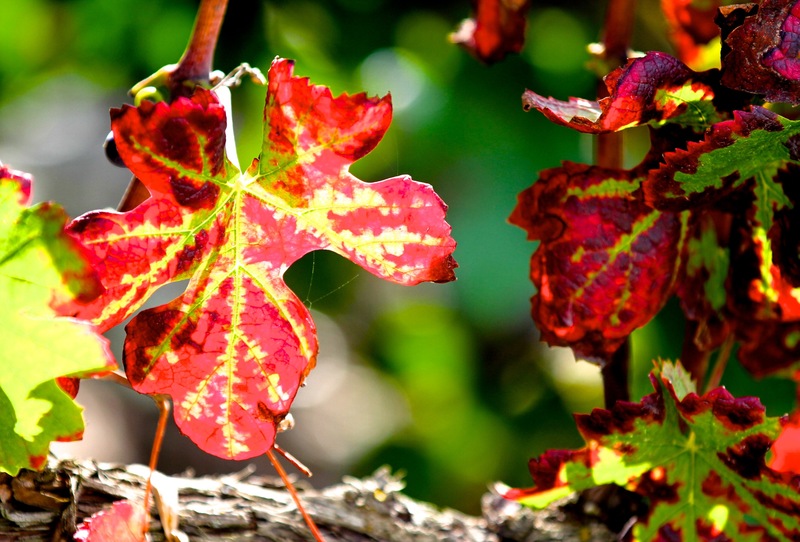 He set down some “Golden Rules for Winemaking”. 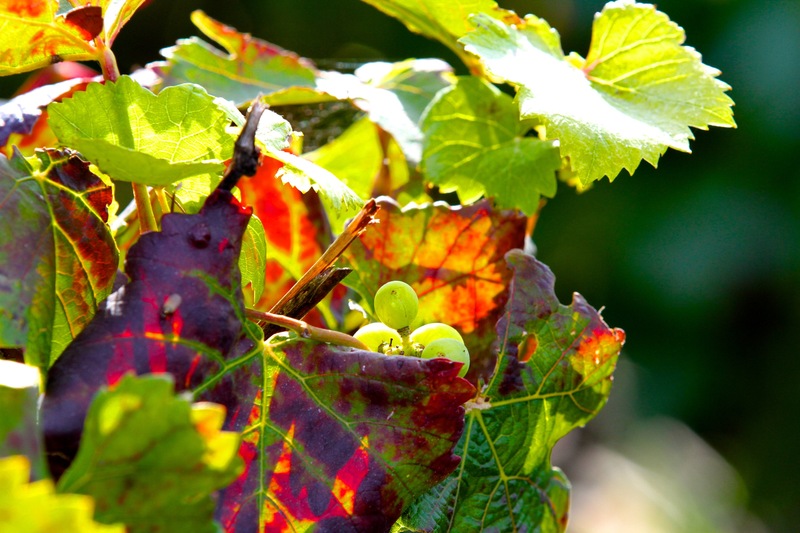 Like using only the best grapes and discarding the rest, pruning hard in the spring, harvesting in cool weather, and pressing the grapes very gently, keeping the juices separate with each pressing. 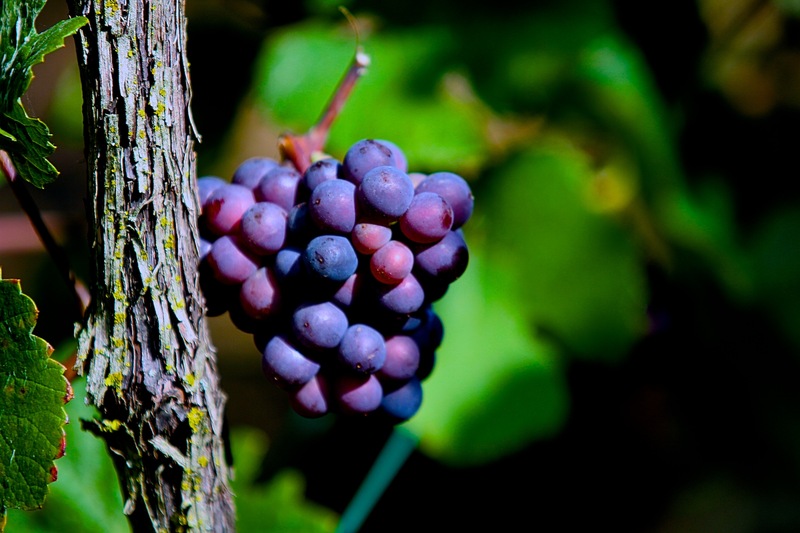 His real genius–the most important thing he did–was to blend and marry different grapes. The harmony he created, between balance and taste, was unequaled at the time. He mixed grapes from different parts of the region. A completely NEW concept. Myths arose because he was so extraordinary, but the truth was he just made better wines than anyone else. He was an intelligent innovator and adaptor with keen gifts of observation and taste. He started using corks as stoppers rather than wooden pegs wrapped in oil soaked hemp. Still, most of the wine he made was red, not white. And definitely not sparkling. Geographic proximity to Paris [and royalty] further enhanced the region’s reputation. 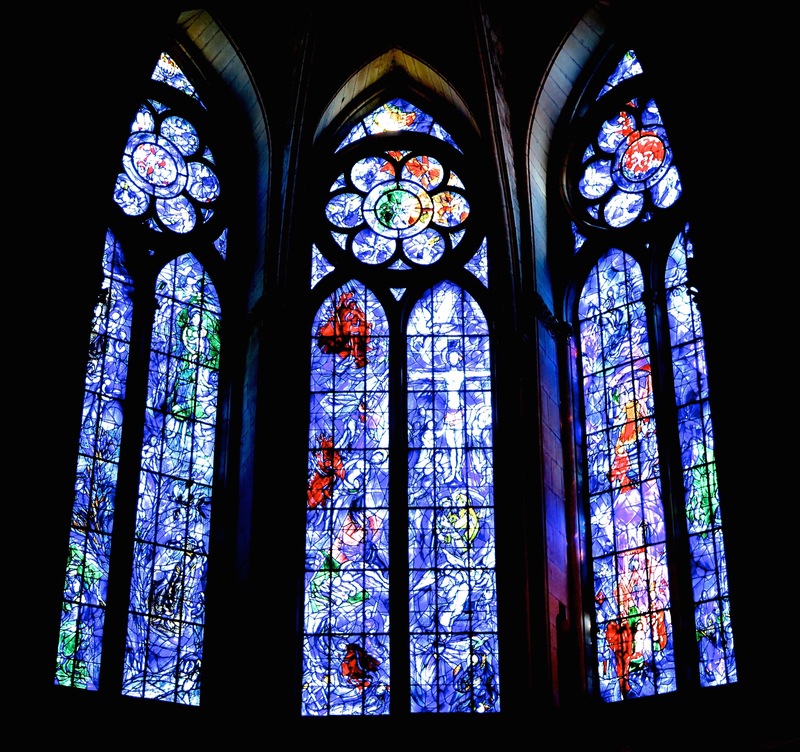 Coronations in the cathedral in Reims featured massive celebrations. While partying, Kings and courtiers drank the local wine, deciding the erratic tingle in the mouth was rather pleasant. 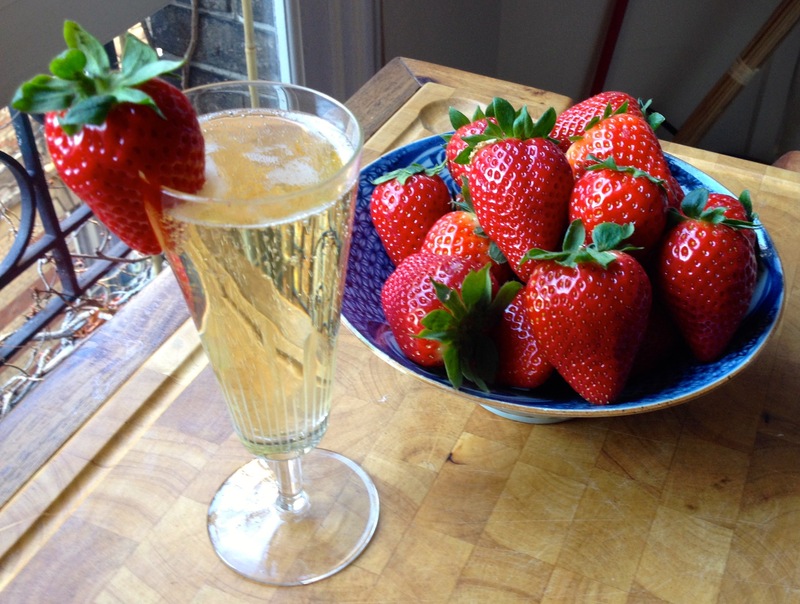 By 1730, Champagne was the beverage throughout European courts. However, production remained unpredictable. It had either too much or too little fizz. There was also the danger element. Because fermentation inside the bottle was uncontrolled, excessive build up of carbonic gas caused unexpected explosions. More than a few were maimed, or killed. 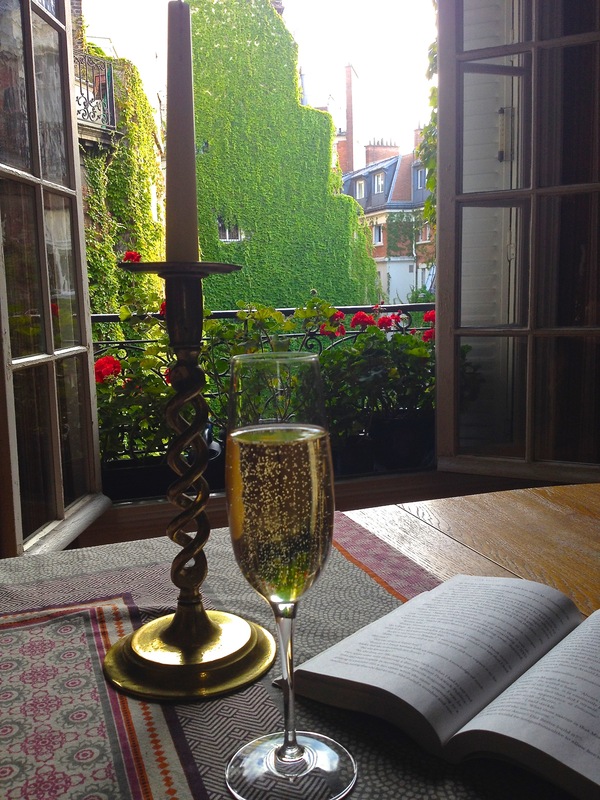 Still, love for Champagne continued to rise in France and throughout Europe. 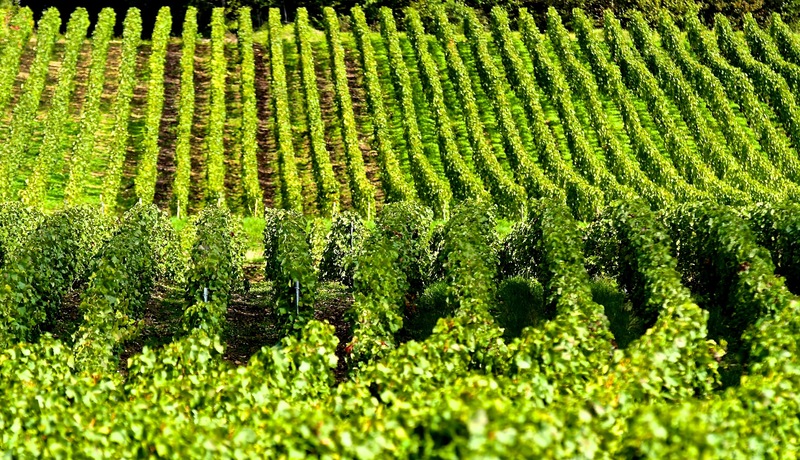 Napoleon purposefully stopped in Épernay before every military campaign to pick up a supply. “In victory I deserve it. In defeat I need it.” One time, in a rush, he failed to make the stop. He was on his way to, well…Waterloo. Fast forward to the mid-to-late 1800s. Louis Pasteur discovered yeast cells. Fermentation became more than a “strange phenomenon” that exploded wine bottles. Wine making took off with newly applied knowledge. Stronger glass bottles, the invention of the wire muzzle and metal foil to hold down corks, and significantly, the process of “remuage” [disgorging sediment] further propelled Champagne’s future. A common consumer complaint was the unpleasant murkiness left inside bottles from dead yeast cells and other byproducts of fermentation. Widow Clicquot [Veuve Clicquot] and her cellar master experimented with trying to remove the sticky mess. He cut holes into the widow’s wooden kitchen table, then inserted the bottles upside down by, suspended by their necks. Periodic twisting and shaking dislodged the sludge and moved it gradually towards the cork. When the cork was pulled, sediment shot out leaving most of the wine and bubbles. Topped off, re-corked and ready to ship–a clearly sparkling outcome. Their secret soon leaked. An industry took off. During WWI, two extremely bloody battles were fought along the River Marne. Trenches cut knifelike paths through the vineyards. 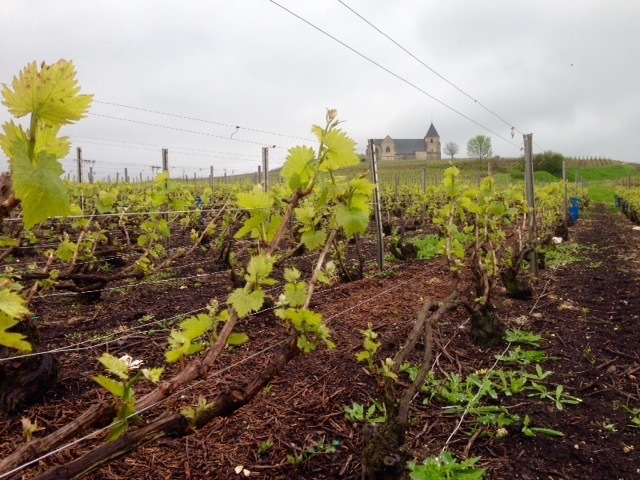 Villages in Champagne were bombed, burned and pillaged along the front line, but hardy Champenois women, old men, and children managed to tend vines not demolished. 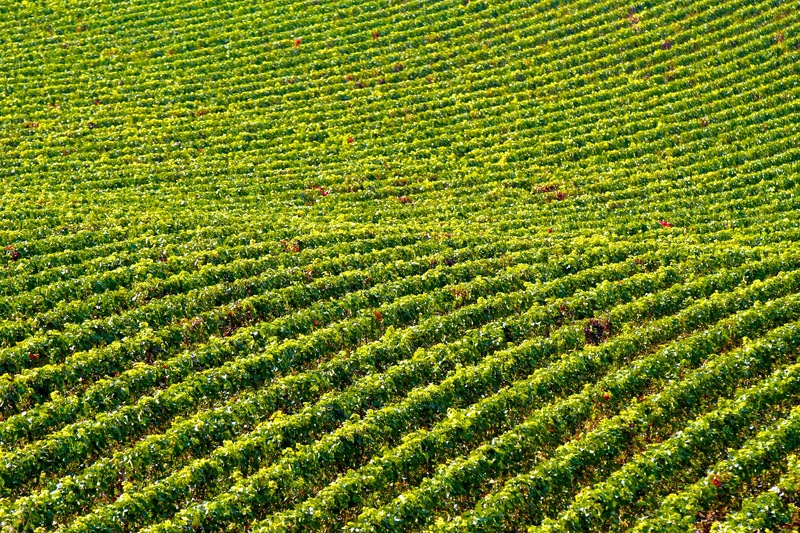 Post-war, the vineyards were massively re-organized. Numbers of vines were reduced. Replanting in symmetrical orderly rows, rather than haphazardly as in the past, became the norm. 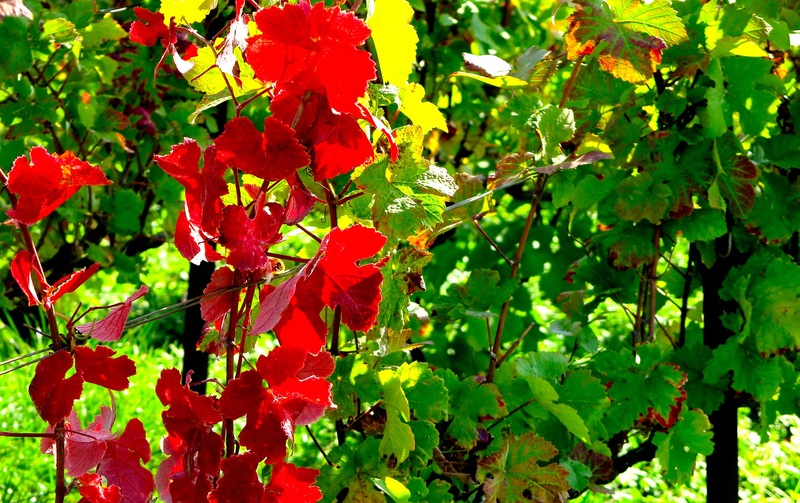 Grapes were matched to the soil and microclimate. The combination of ancient chalky soil, harsh northern weather and unreliable harvests created a system for blending grapes from current and past years. 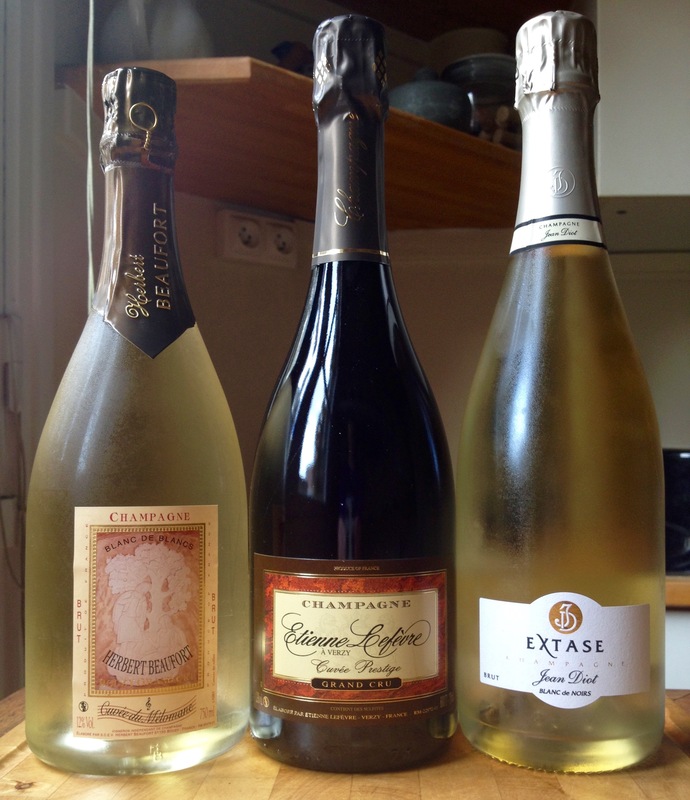 All fine Champagnes are now made from blending three grapes: Chardonnay, Pinot Noir, and Pinot Meunier. 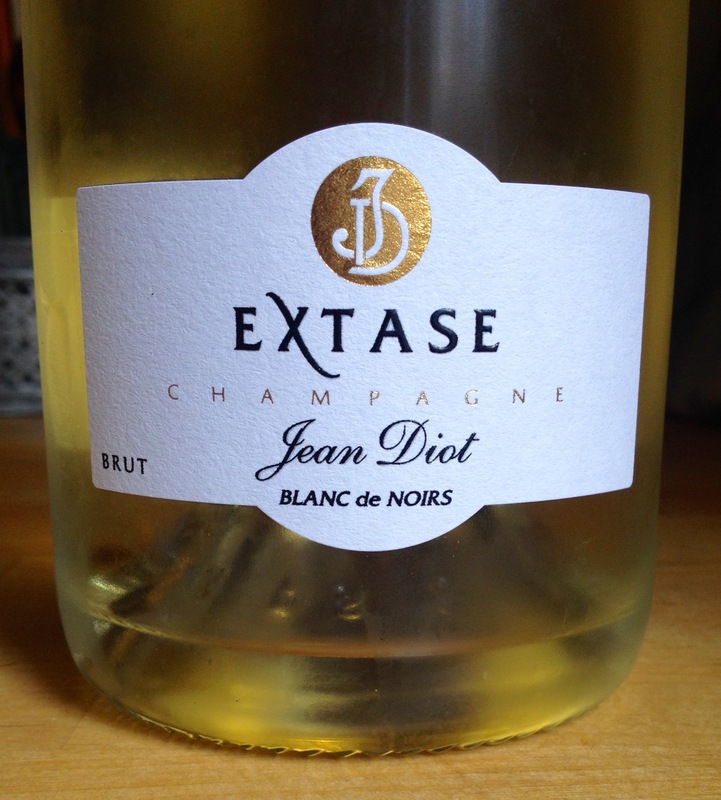 Exceptions are Blanc de Blancs which is 100% Chardonnay and Blanc de Noirs which is 100% Pinot Noir. My love for Champagne came about later rather than earlier in my life. In my 20s, California sparkling wine was the perfect storm for a day-after headache. During fifteen years in Asia we drank Champagne once–on New Year’s Eve of the millennium. In Germany we sipped Sekt, the sparkling apéro-of-choice at social gatherings. It was nice, but we didn’t buy it to drink at home. 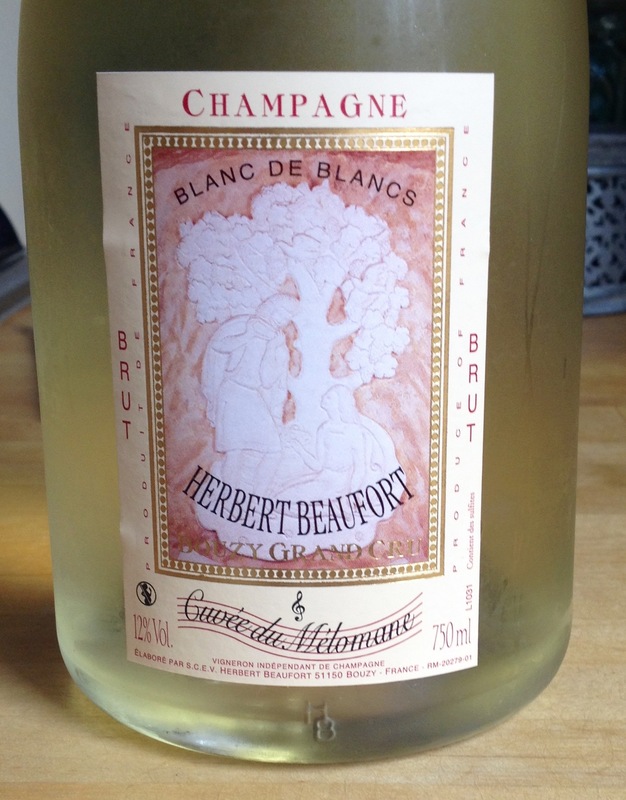 Only when we moved to France did bubbly wine shift from infrequent tasting to outright delight. Soon after moving to Paris, we saw that Champagne was basically the only beverage offered as an aperitif on any occasion, day or night. It was light, refreshing, delicious, and trés French, of course. 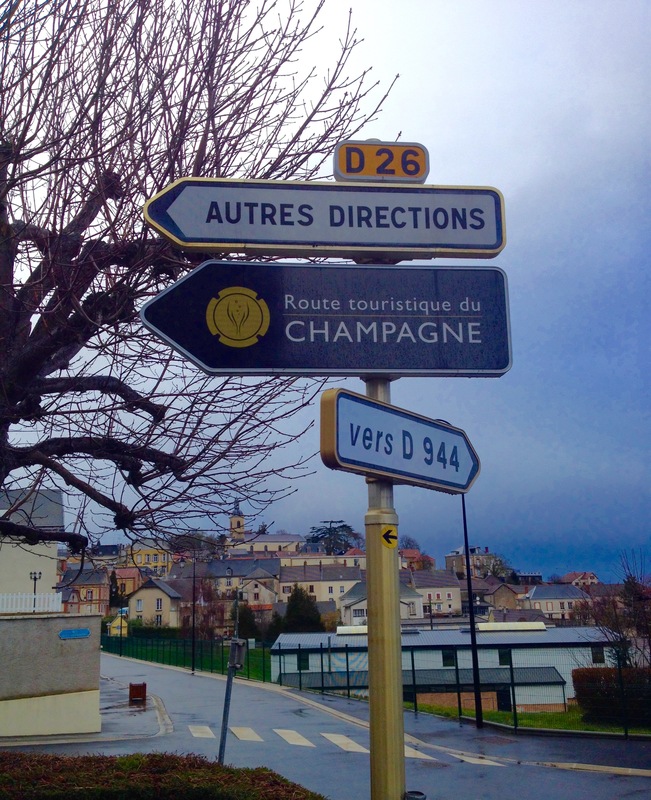 We began making weekend trips to Reims and Épernay, coexisting capitals of the Champagne region, to sample and learn more. Gradually, we found the tastes and the amount of effervescence we most enjoy. Some people consume Champagne only for special party occasions–weddings, anniversaries, birthdays, retirements, christenings, or at midnight on December 31. Now we happily live outside of that box. 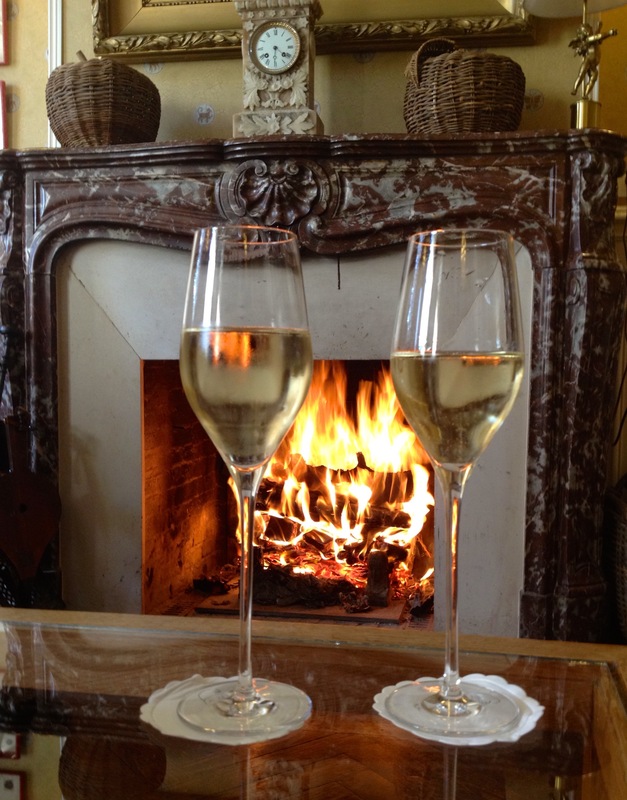 When home in France, Champagne is the white-wine-of-choice any day of the week, month or year. Buying good Champagne doesn’t have to be expensive. 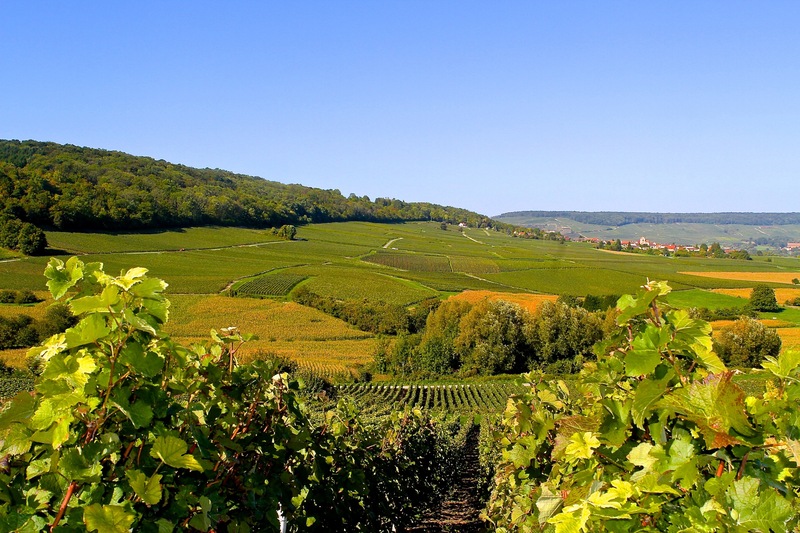 Épernay excursions have led us to small producers who sell directly to the consumer. 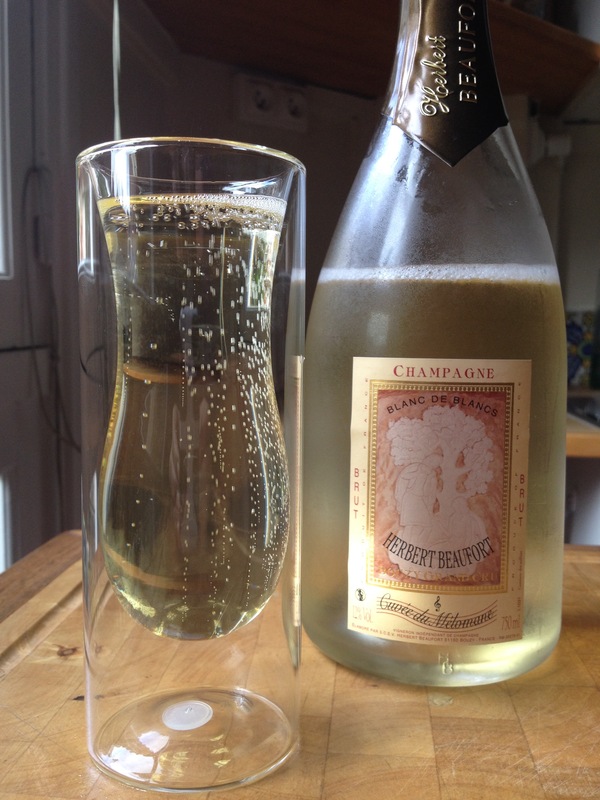 Deliciously drinkable bubbly can be purchased for less than $20.00 per bottle. Pairing Champagne with food sometimes surprises. Strawberries and chocolate are obvious clichés. 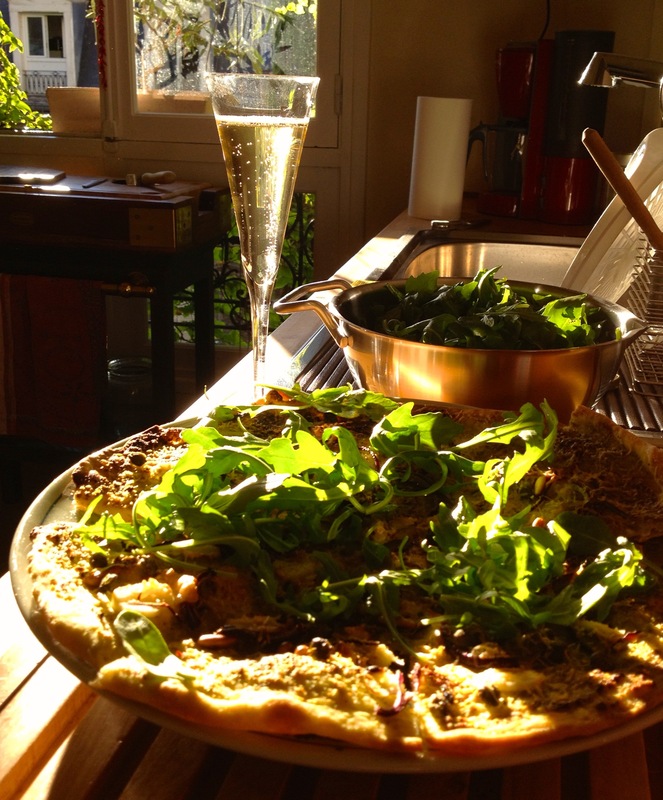 Perhaps counter-intuitively, pizza is a perfect match to the sparkles of Champagne. Homemade pizza night begins by uncorking something to sip in the kitchen while we cook. Glasses refilled table side when we eat. Sparkling wine produced in other geographies–German Sekt, Italian Prosecco, Spanish Cava, and California Champagne are runners-up. They aren’t bad, even acceptable tasting to many people. But it’s simply not the same. If you are fortunate enough to buy or be served a bottle of Champagne, raise your first glass to thank Dom Pérignon. Then sit back, relax, and simply enjoy “tasting the stars”. 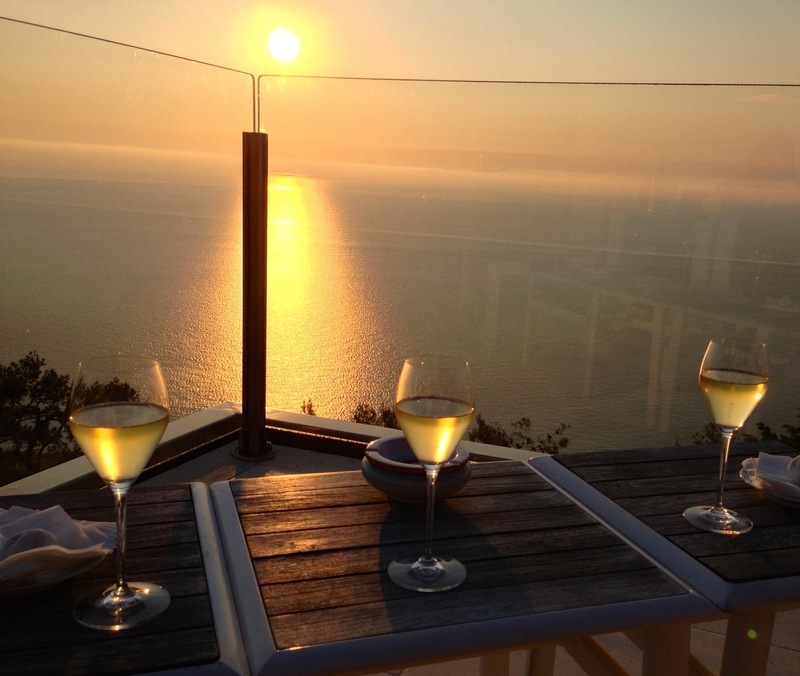 “In a perfect world, everyone would have a glass of Champagne every evening.”––Willie Gluckstern. “There comes a time in every woman’s life when the only thing that helps is a glass of Champagne.”––Bette Davis. I’m not sure when that time is, but I’m probably there. “My only regret in life is that I didn’t drink more Champagne.”––John Keynes. I’m not planning to have that regret.